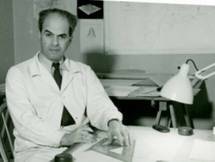 Bruno Julius Florian Taut (4 May 1880, Königsberg, Germany - 24 December 1938, Istanbul), was a prolific German architect, urban planner and author active in the Weimar period. Taut is best known for his theoretical work, speculative writings and a handful of exhibition buildings. 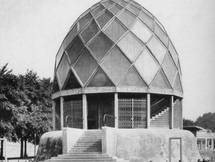 Taut's best-known single building is the prismatic dome of the Glass Pavilion at the Cologne Werkbund Exhibition (1914). His sketches for "Alpine Architecture" (1917) are the work of an unabashed Utopian visionary, and he is variously classified as a Modernist and an Expressionist. 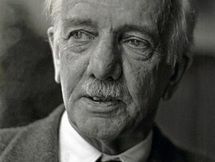 In 1927, he was one of the fifteen architects who contributed to the influential modernist Weissenhof Estate exhibition. This reputation does not accurately reflect Taut's extensive body of built housing and his social and practical accomplishments. Much of Taut's work in German remains untranslated into English.